Online calendars, scheduling apps, and email distribution lists have created a monstrous meeting invite reflex. It has become too easy to send blanket, one-hour meeting invites to 10 people when only five are relevant to the agenda. In addition to Rob’s ideas, I’ll add three suggestions. Tangentially related to Rob’s last point, there are times when you need to get everyone together for a conference call and times when you don’t. Before scheduling a call, ask yourself if it’s really necessary. If it’s project status you’re after, could team members just email you? If you’re interviewing someone for an important role, might it be more effective for conference call participants to meet the candidate in person? Don’t just schedule a conference call to check a box. Understand the goal each individual call is expected to accomplish and communicate that goal to your participants before and at the start of the call. I get that we’ve been doing conference calls since we entered the workforce. I still see the same mistakes being made. In order to get the most out of your calls, reiterate your “rules of order.” Explain how people should access your calls and don’t keep changing up your method, such as using FreeConferenceCall today and Webex tomorrow. You should even stick with the same line and passcode if possible. Insist that participants arrive on time and introduce themselves at the start of the call. If you don’t want people listening in, off mute, from a busy city street, or calling in when they have weak reception, remind them. Even if you’re covering the part of the agenda that’s relevant to particular participants, you can expect that they’ll tune out if they’re not engaged. Keep people on their toes and listening by periodically singling them out for commentary. You might catch people off guard the first time you do this, but when they realize they could be called on at any time, they’ll learn to quit multi-tasking and will start paying careful attention to what’s going on. 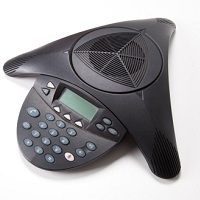 As much as you can, keep your conference calls to an open discussion format. Everyone will get more out of them!